Home to the Ironbridge Gorge which is a UNESCO World Heritage Site and accommodating the hills, which are a designated Area of Natural Beauty, this county is sparsely populated…by the living! The county however is rife with haunted tales such as the Avro Lincoln Bomber which is on display at Cosford Aerospace Museum. It is said to be haunted by a pilot who sits in the cockpit! 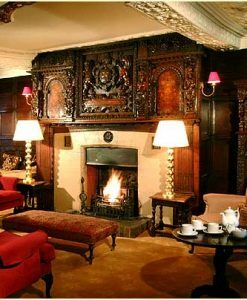 And local eccentric Mad Jack Mytton, a man who lived with 2000 dogs and 60 cats and still found time to drink 6 bottles of port a day (although it’s not clear if that’s what killed him), visits the Mytton & Mermaid Hotel at Atcham, in spirit. And Shropshire is where the ghosts of the UK hold their annual conference apparently. It is said that on 21st December every year, they gather at the Stiperstones at Bishops Castle. 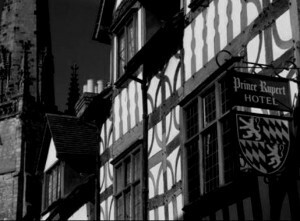 Once you’ve located your ideal haunted hotel, Shropshire offers a wealth of fantastic places of interest to make your stay one that you’ll never forget. 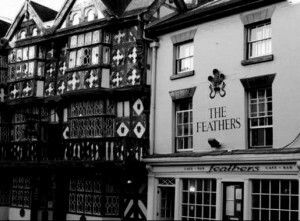 We feature just some of the most haunted hotels in Shropshire. 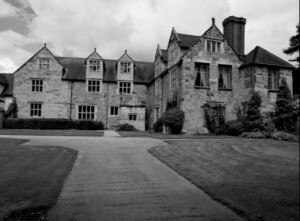 If you know of a haunted hotel in Shropshire that we’ve missed, we’d welcome your suggestion. Just click on the ‘Contact Us’ link in the footer at the bottom of the website.